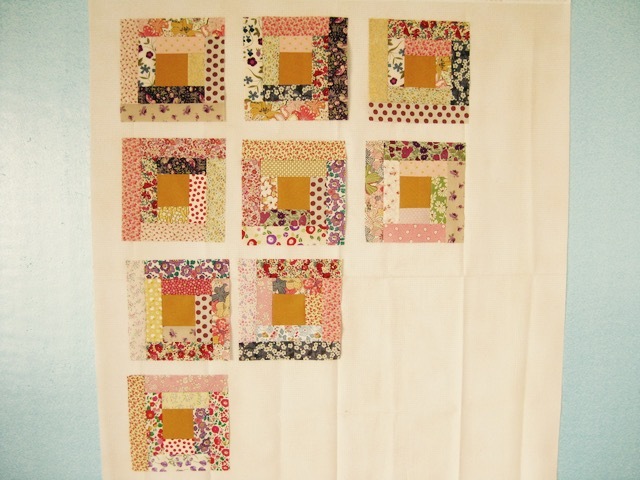 While hand quilting my Liberty Four Patch quilt I started a new project with the same fabrics plus some other scraps : a baby crib quilt with Log Cabin blocks separated by strips. For the central squares I cut 3"x 3". For the strips I cut 1.75" width. The finished block measures 8"x 8". The finished top will measure 24"x 37". In my circle there are three babies to be born soon : one next July and two next autumn! This means another three baby quilts to offer... how great, I love sewing baby quilts! Love your blocks! I have always heard yellow and red are often used in the center of log cabin blocks. I think both work great! Oh man, I LOVE your fabrics!! Your blocks are wonderful! You have a wonderful way of combining prints and colors that create softness and charm. Lucky babies! So sweet! You do such a wonderful job combining fabrics and designs. This one is going to be perfect. This quilt has such old fashioned charm - it's the lovely fabric combination. And yet at the same time, it looks modern. Quite wonderful Christine! 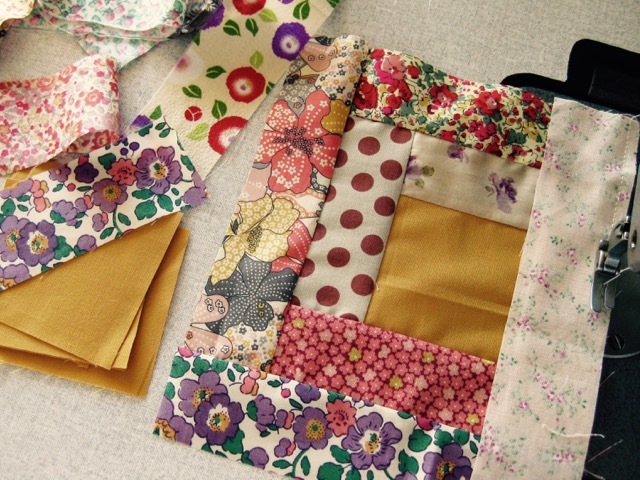 This quilt is going to be great and something that will be treasured forever. Thanks for your nice comments on my blog Christine!!! You are welcome Liliane, thanks to you! What a lovely fabric choice for this log cabin! 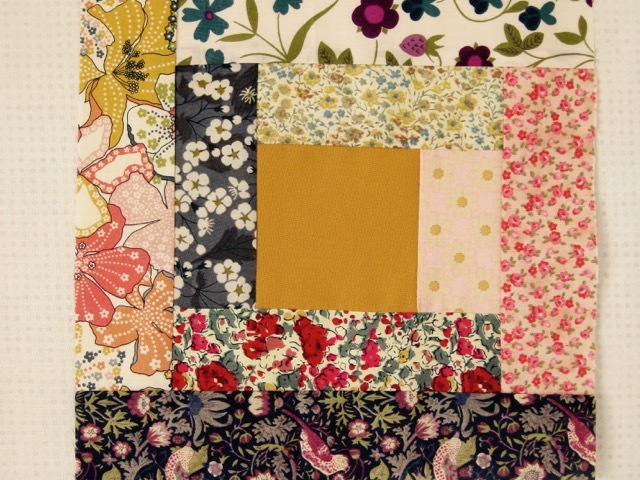 Lovely colours and Liberty fabrics! Lovely fabrics and a very special quilt. I learn so much from your posts! Thank you. I love the colours and fabrics in this quilt. Oh that's so beautiful, the colours are soft and gentle and it's going to be perfect to snuggle under! Love the scrappy look of your Log Cabin. Love the scrappiness of your Log Cabin. I've only ever done "controlled" logs, and I would never have thought to do them scrappy. I love, love, love scrappy log cabins. 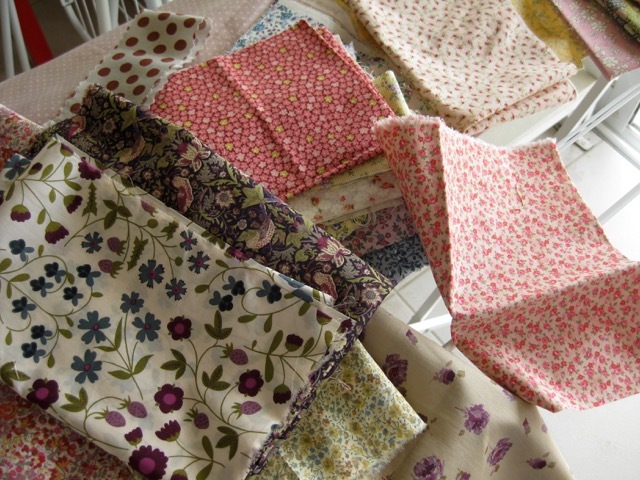 Hi, I just joined a Liberty Fabric club and will be getting new fabrics every month. 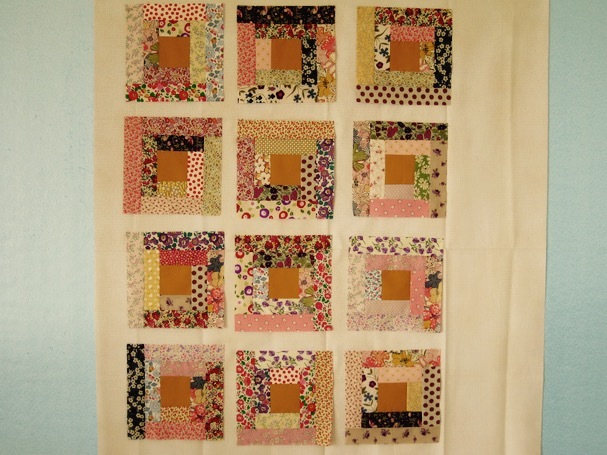 I am trying to figure out what to do and I thought of a log cabin quilt. How did you know what was darks and lights? I am finding that a little bit of a challenge.